When not blathering on about other people's RPGs, I write my own. All feedback is welcome, or reviews, or abuse. Or anything come to think of it. Icar is hosted on DriveThruRPG, all the others are currently on Google docs while I work out what to do with them. Click the pics or links to download. 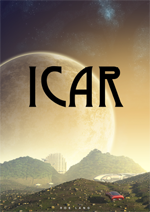 Icar is a free science fiction roleplaying game where you zip between the stars, battle killer Droids and subvert a benevolent Imperium. It has medium crunch of mechanics: a skill percentile system, cinematic blow-by-blow close combat, space combat and netrunning hacking. It includes lots of pretty 3D graphics of weapons, vehicles and space craft, a large GM section and an example campaign setting. 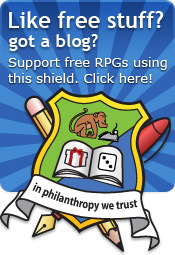 The Shared Pool is a free, generic roleplaying game system. The core mechanic is a pool of dice that sit in the middle of the table and are shared by all players. Doing actions take dice from the pool and doing fun stuff puts dice back in. 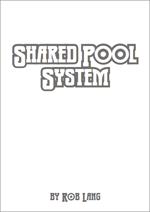 The Shared Pool System was created as part of the 2012 National Game Design Month event. 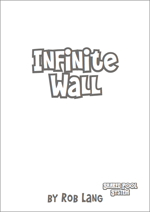 Infinite Wall is a no-magic fantasy setting where a small town clings to an impregnable wall that stretches off to infinity in all directions. Characters play inventive, adventurous outcasts amongst a population who prefer the status quo. Being part of a secret society at first, you become pivotal to the future of your nation. Designed for the Shared Pool System but it could be easily adapted for any system. Initially created as part of the 2012 National Game Design Month event. Cloudship Atlantis was written in 24 Hour as part of the 2009 24 Hour RPG Competition. Set on a huge flying city above barren, black dunes. 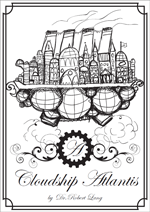 Cloudship Atlantis is two worlds: above the bow are the gentry: devious aristocrats engaged in a secret war with each other. Below the bow are the Humbles who invisibly keep Cloudship Atlantis in the air. Characters are humbles that escape above the bow line and then eventually off the craft. The system is an old version of the shared dice pool mechanic. Thanks! These are (no doubt fun) very well made rpgs! Thanks Joe, it's much appreciated. Shared Pool seems like a cool concept. Is there any more to it? Hi Daniel, thanks for your kind comment. There's not much more to it! I've used it for a few settings now and it seems to work as desribed in the rulebook. The only minor caveat is that it does require the players to put some effort in! On evenings when my group were tired through work/etc it became more difficult for them to be spontaneous, which the pool of dice really lives on! If you use it, any feedback would be gladly appreciated. I used your guide to make a free RPG, and I found it really useful. My only question would be: did you publish the Chgowiz RPG?